League1 Ontario Men’s & Women’s 2019 Schedule Has Been Announced! League1 Ontario Women’s Trials are March 28th, April 4th, 11th, & 18th! Register Now! Trials for the 2006 Boys Rep Team on Friday, March 22nd at the Paramount Fine Foods Dome! Thank you to the Toronto FC Juniors for Training our Youth Rep Teams on March 7th! NMSC Coach Spotlight: Richard Chimbo & Sandro Cosentino! Holiday Toy, Food, and Sock Drive at the Clubhouse, Donate Today! The AGM is December 16th at Meadowvale Community Centre, Save the Date! Join Us at the Streetsville Santa Claus Parade on November 25th! Futures Looking Bright With New Hire, Cormac Cleary! GU16 Panthers Win the 2018 Ontario Cup! Congratulations Panthers! Congrats to the GU16A Rep Team for Advancing to the Ontario Cup Finals! Good Luck Panthers! House League Fun Day/Canada Soccer Active Start Festival is this Saturday, August 25th! See You There Panthers! The 2018 Board Nomination Package is Here! Congrats to the NMSC Players Chosen for the PHSA Select Team! Tickets to the Games are Now Available! Clubhouse Closed on Monday, August 6th. Enjoy the Long Weekend Panthers! NMSC is Accepting Applications for Fall Internships! Apply Today! Summer Camp is Next Week! Heres What You Need to Know. Clubhouse Closed at 3:30pm on Friday, June 22nd. Enjoy your Weekend Panthers! NMSC Recognized at the 44th Annual Mississauga Sports Council Dinner! Come Support the GU9 Rep Team Fund-raising Event on June 9th at the LCBO Tag Day! Join NMSC at the Bread & Honey Festival this Weekend, June 2nd & 3rd! NMSC Partners with St. Jude’s Academy to Offer a Soccer Scholarship Opportunity! Join us on May 25th for NMSC Day at BMO Field! Tickets Available Now! League1 Season Pass Now Available for the 2018 Season! Purchase Yours Today and Support the Panthers! Looking for an Internship Opportunity? NMSC is Accepting Applications for Spring/Summer Internships. Apply Today! Congratulations to OPDL BU14 Player, James Roberts, As He Travels to Italy For Tryouts! Thank You to the Mississauga Steelheads For Having Us at the Game on Friday March 9th! Great Team Bonding Event for the BU15 OPDL Team! Join Us At the First Club Fun Day Events of 2018! The Canada vs. Brazil Arena Soccer Game & Raptors 905 Fan Appreciation Night! Congratulations to the NMSC GU18 Players For Signing With Canadian College & University Varsity Teams! NMSC Is Hosting a Showcase Program & SAT Training For Our Student Athletes on January 27th, February 3rd, & February 10th! The Holiday Toy Drive Has Been A Huge Success! Special Thanks to Everyone Who Contributed! Have A Happy Holidays! Christopher Keem Named The New Operations Manager at NMSC! Two OPDL Players Chosen for the Ontario REX Program! Congratulations & Best of Luck! NMSC Teams Up With Pet Smart For A Holiday Toy & Food Drive! Donations Can Be Made at the Clubhouse! NMSC FanWare Catalogue Is Here! Stay Warm This Season, Purchase Your Fall & Winter FanWare Today! NMSC Will Be Volunteering At The Streetsville Christmas Festival, November 25th-26th! Volunteers Needed! NMSC Take Home Several Awards at the League1 Ontario Banquet, Including Men’s Goal of The Year & Women’s Coach of the Year! NMSC Annual General Meeting This Sunday, October 29th! All Members Are Welcome To Attend! BU17A Team Represent NMSC & Ontario At The Nationals This Week! Watch The Games Online! NMSC Is Presently Accepting Applications for Operations/Business Manager! Apply Today! NMSC is Looking for Passionate Rep Coaches for Our Grassroots and Youth Development Teams! NMSC House League Fun Day on August 26th, Schedule Now Available! NMSC 35th Anniversary Celebration, Come Join Us! NMSC Player Selected to U-18 Ontario Provincial Team for the 2017 Canada Summer Games! Two League 1 Women’s Players Selected For All-Star Game, July 25th! NMSC Men’s League 1 Players Invited to Play Oversees for European Team, Real Vicenza. Ontario Coaching Excellence Awards – Nominate a coach today! League1 Ontario Men’s Signing, Luca Montanaro! League1 Men’s Player Signing, Yousef Helmy. Welcome Back! Best of Luck to the GU17 Team at the Jefferson Cup this Weekend! League1 Player Announcement, Moses Toe. Welcome to the Team! League1 Player Announcement, Chester Ashby! Welcome Back GK! League1 Player Announcement, Santos Mujtaba Ameen. Welcome Back! League1 Player Announcement, Nicola Russo. Welcome to the Squad! League1 Ontario Men’s Trials are Thursday, February 7th & 14th. Register Now! Kick-off 2019 with the Indoor Soccer Programs at NMSC! Register Today! League1 Ontario Trials for the 2019 Season are on January 27th! Additional Trial Dates will be Announced Soon. Additional Trials for OPDL Teams in 2019, Spots Are Still Available! Additional OPDL Trials in December, Spots are Still Available! The Schedule has been Updated. OPDL Trials Cancelled November 17th, Field is Closed. OPDL Trials are November 10th, 11th, and 17th at Iceland 1! Register Now! Thank you to Everyone that Attended the Rep Tryouts! If you have any questions please contact the Coach. NMSC Coach Spotlight: Judy Tjanetis – Coach of GU16 Ontario Cup Finalist! Rep Tryouts & Grassroots Identification Sessions are September 22nd & 23rd! Check out the Tryout Schedule & Register Online! OPDL Trials for Players Born in 2006 are on September 15th and 16th! Check out the Trial Schedule & Register Online! NMSC is Looking for OPDL Coaches for the 2019 Season! Send Us Your Coaching Resume If Interested. OPDL BU15 Team Have an Impressive Weekend at the Umbro Showcase! GU16 B Team get the 2018 Season Underway with Two Strong Tournament Showings! OWSL Home Opener this Wednesday May 23rd at Courtney Park! Come Support the Panthers! The BU18 (2000) OYSL Team is Hosting Tryouts! Come Show Us What You Got! Great Weekend for the GU15 & BU15 OPDL Teams at the Gatorade 5v5 Tournament! League1 Women’s Trial Dates: March 14th & 15th at the Hershey Dome! Please Complete the Registration Form for More Info. OPDL 2003 Girls Team Tryouts: March 13th, 15th & 16th at the Hershey Dome! Tryout Schedule for the OWSL Women’s Team is Now Available! Friday March 2nd, 16th & 23rd! The GU14 Rep Team is Hosting Tryouts on Thursday April 12th! Please Contact the Coach for More Details! Congratulations to the GU16A Team for Winning the Ontario Indoor Cup in Spectacular Fashion! NMSC Is Excited To Work With New OPDL 2003 Girls Head Coach, Eduardo Ramirez! Ontario Soccer Has Announced the 2018 Provincial Projects Invites! 7 OPDL Players From NMSC Have Been Invited! Four NMSC Players Nominated For League1 Ontario Goal Of The Year! Vote Now, Until Saturday November 11th! The OPDL 2004 Girls (U14) Are Looking For Players To Complete Their Roster. Contact The Coach For More Details! OPDL GU14 Will Play for OPDL Charity Shield on November 4th After Finishing the Season Undefeated! Congratulations to the GU15A Team For Winning the Regional Championships! What An Impressive Season It Was! Fourteen NMSC OPDL Players Invited to Ontario Soccer Provincial Screenings! OPDL 2005 Additional Trials This Saturday October 21st! Congratulations to the BU17A Team For Winning Bronze at the 2017 Nationals! OPDL Trials Schedule for the 2017-2018 Season Is Now Available! (Some Changes Have Been Made) Please Fill Out the Registration Form Provided! 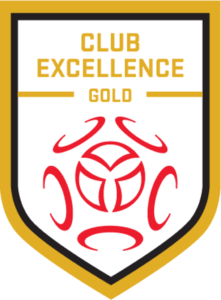 NMSC GU14 (2004) Third Tryout Session Set For This Friday September 29th! NMSC U21 Men & Women Tryouts Set For October 1st & 15th! NMSC BU17A Win The 2017 Ontario Cup! Congratulations! NMSC OSWL U21 Provincial Elite Seeking Talented Female Players For Tryouts September 23rd & 24th! NMSC Announces Rep Coach Selection for 2017-18 Season! Come Support the BU17A Team in the Ontario Cup Finals this Sunday, September 10th! Congrats to the NMSC 2005 Boys Pool on a Great Season! GU16 Finish Season With Perfect Record in Tournament Play! NMSC BU15 B Team Win 2017 Ukrainian Independence Day Soccer Tournament! Five Tournament Wins In a Row For The GU16 NMSC Team! NMSC League 1 Women Take Over First Place Thanks to a Huge Win on Saturday and an Unstoppable Scoring Streak! GU18 Team Win Lancaster Depew Tournament in Buffalo! GU16 NMSC Win Their Third Tournament of the Season! NMSC BU14 All-Star Team Win Their Second Tournament of the Season! League 1 Men’s Player Goes to Portugal for Pro Try-Out with Rio Ave F.C. Who’s a winner? Our GU18 team! Any Plans for March Break? Register Now for the March Break Camp! The Winter Recreational League Kicks Off This Saturday, February 2nd at the Paramount Fine Foods Centre! Congratulations to the NMSC House League Coaches of the Year for the 2018 Season! Early Bird Registration for Indoor House League and PDP is Now Open! Register Now for the Best Price! House League Photo Retake Day is July 21st! Everything you NEED TO KNOW for the Outdoor House League Season! House League Photo Day is June 16th & 17th! Mark Your Calendars! Want to Coach This Season? NMSC is Looking for House League Coaches for the 2018 Outdoor Season! Registration Now Open for the 2018 March Break Camp! Outdoor House League Registration for the 2018 Season is Now Open! Early Bird Pricing for the 2018 Winter Indoor House League Season Available Until January 5th! Winter Indoor House League Schedule Now Available! Register Today! Indoor House League Starting This Saturday October 28th! League1 Men’s Player Signing, Laith Adi. Welcome Back to NMSC!